I don't know what can be the best way to explain a war or armed conflict but this documentary is a great example about how to visualize it. 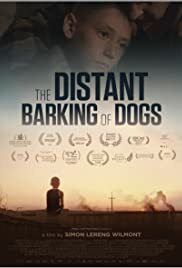 This piece is basically showing us it is possible to make a film about ongoing clashes without showing any close combat, still holding all the tension, being anxious, and most importantly how does it feel to be a child while hearing bombardments all day long. That piece is not trying to abuse your emotions through children, it is a honest piece about growing up, being family, protecting each other and dealing with fear while all those bombs are barking at your backyard.